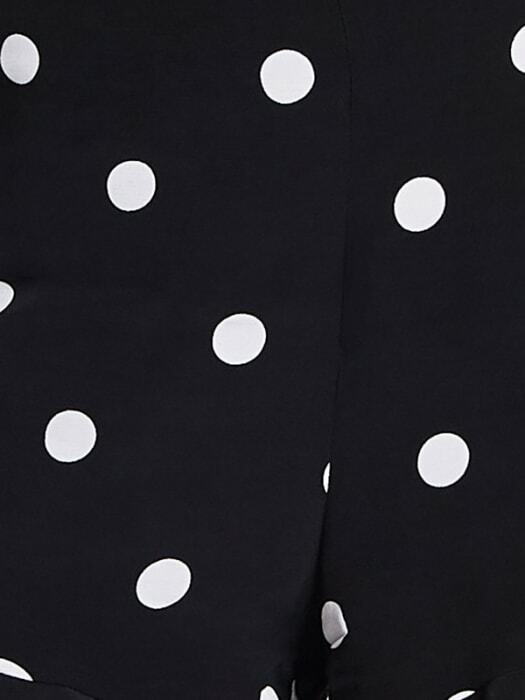 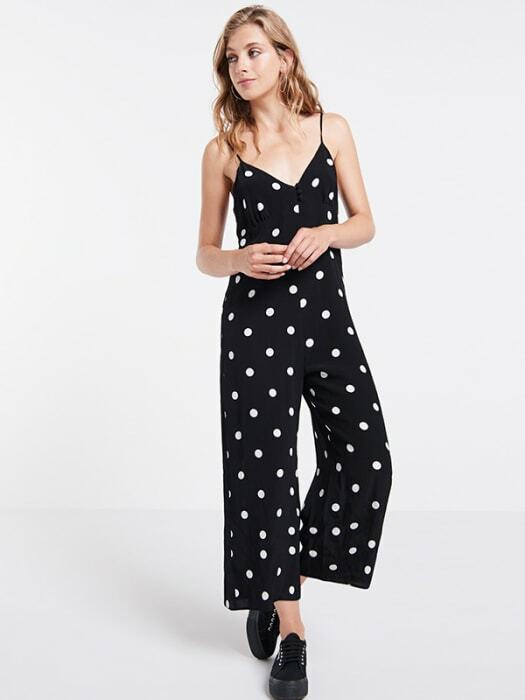 Show your style-strugs the door with our black and white polka dot jumpsuit. 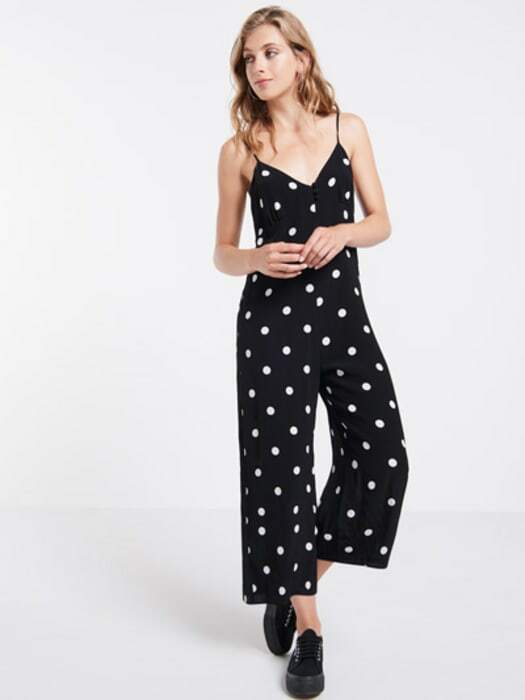 Offering an all-in-one wardrobe solution, this new season essential draws in at the waist before falling to a pair of cropped wide leg trousers below. 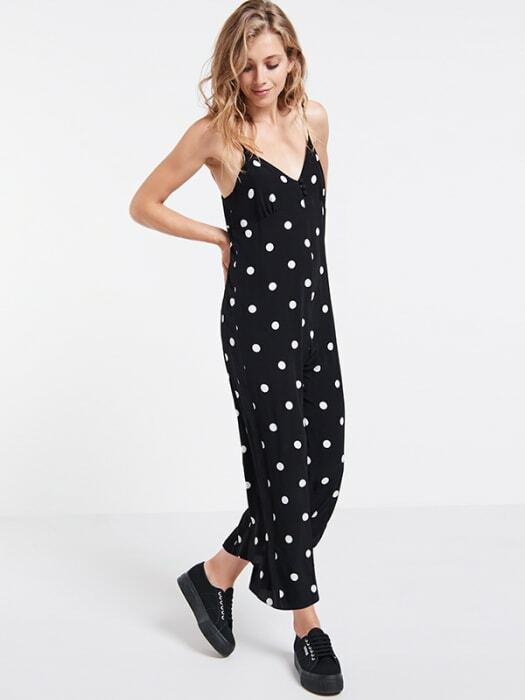 Keep it casj with trainers midweek, and step it up in heels come the weekend.